When choosing a space to prepare for your wedding day, the simple look of an elegant hotel room, free of clutter and full of beautiful light is the perfect choice. 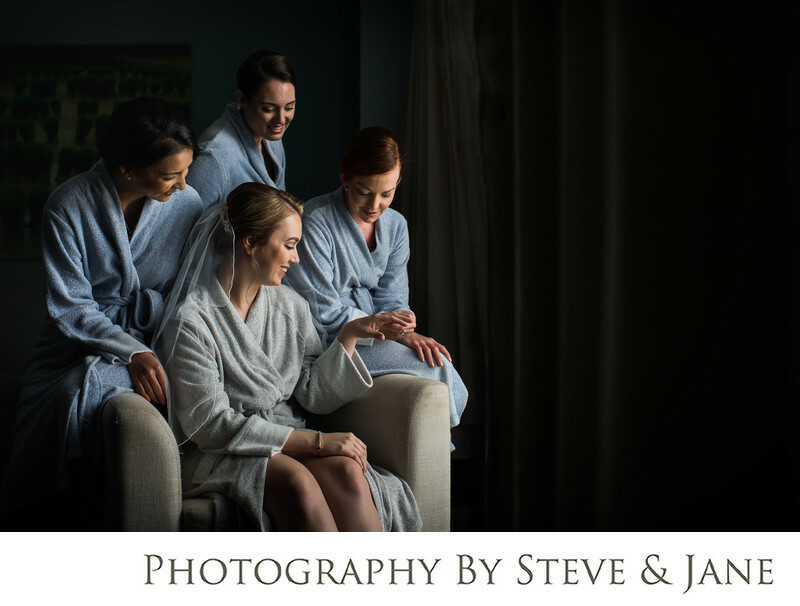 This bride chose to have her hair and makeup styled at the Lorien, a Kimpton hotel, in Alexandria, Virginia. It's conveniently located just a block away from the King Street Metro station and the Amtrak Station. The warm inviting accommodations are the perfect backdrop for those "getting ready" photos. The huge windows allow ample light in so your makeup artist doesn't have to supplement the lighting with heavy clunky equipment. The clean and simple, yet modern look of the room doesn't compete for attention in your photos. There are no ugly curtains or strange artwork on the walls. The calming bluish grey walls in the large one bedroom suite give a relaxing feel on what is usually a stressful day. the large living room area is plenty of space for bigger wedding parties, along with your family members to prepare for the day. No one will feel crowded or overwhelmed here. The hotel staff are friendly and helpful. The front desk staff greet you with a smile and are ready with restaurant suggestions along with recommendations of places to visit while you are staying in the area. The courtyard area is the perfect place to grab a few portraits before you head off to your wedding location. It's a quiet retreat just off the busy thoroughfare of King Street. Location: The Lorien 1600 King St, Alexandria, VA 22314.